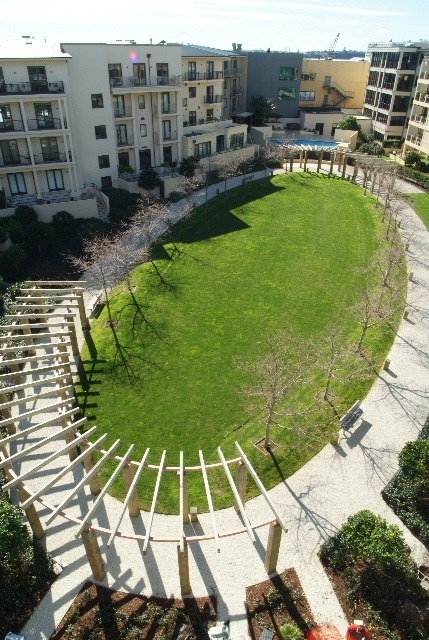 Development Type: Residential Apartments surround the Green Roof which is located above an underground car park. Green Roof Brief: The objective was to create common amenity space in an inner city environment while enabling the residents to park their cars securely. The Green Roof concept worked so well it became the unique marketing feature of the development.Green Roof Design Planted with a variety of plants and trees to create interest. A small grass hillock is located in the center.